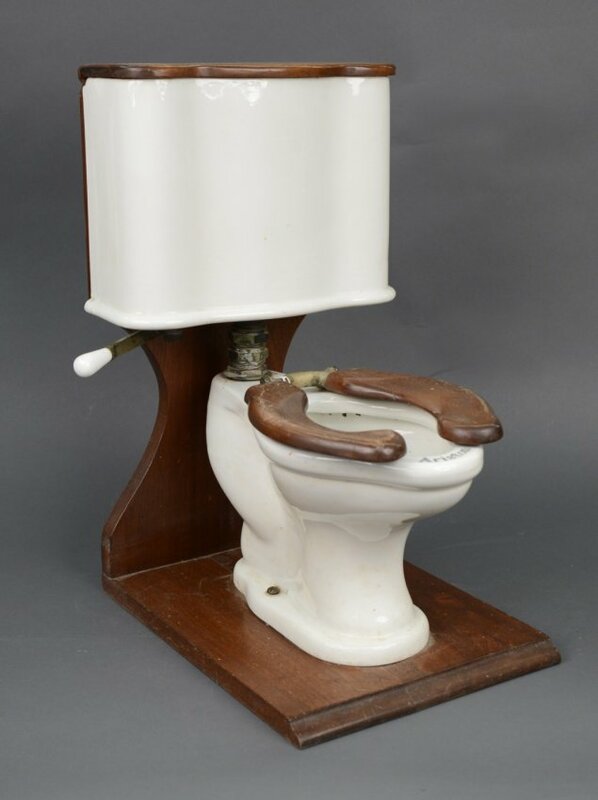 Say it’s the early 1900s, and you manufacture a good quality toilet. You want everyone to know about your toilet, to see how truly superior it is. But how? Catalogs and ads are OK, but they really don’t do the product justice. You’re happy to employ salesmen to go door to door, or shop-front to shop-front, but it’s not like they can lug your magnificent toilet along with them. What to do? Salesman Samples. Small versions, crafted in exacting detail, of your product. They could be displayed in stores all over the country, or even taken directly to the consumer in specially crafted cases. 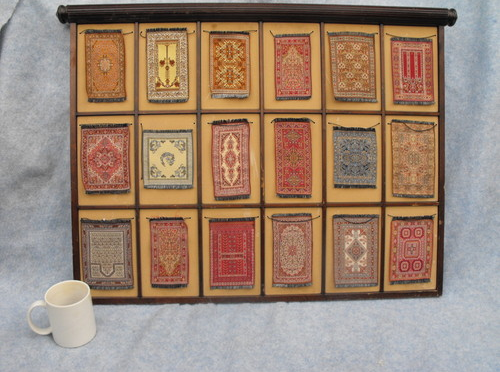 Today, salesman samples are hot collectibles, partially because of how rare genuine surviving examples are. Most of the objects being sold on Ebay as salesman samples are actually toys. 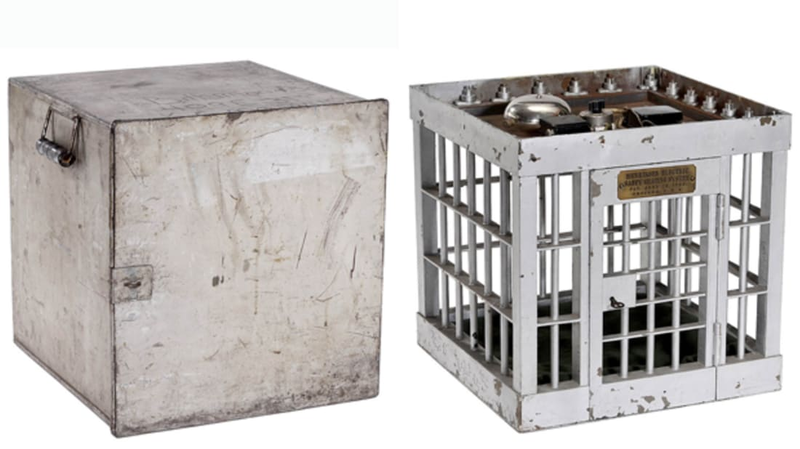 Even the most experienced antique collector can have a hard time telling the difference between a masterfully crafted turn-of-the-century salesman sample stove and a masterfully crafted turn-of-the-century toy stove. We’ve done our best to distinguish true salesman samples below. Sometimes only the most basic information accompanies these old samples, so we encourage any readers who might know about these products to add to our collective intelligence in the comments section. 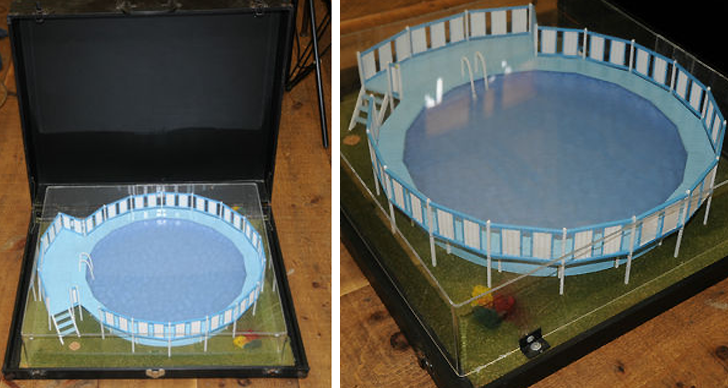 These models of above-ground, less expensive swimming pools were made by Sears in the 1960s; marketing what was once a luxury for the wealthy to the thriving middle class. This sample is an example of a case that likely didn’t go door to door, but sat on display in the store. In 1935, you really had to peddle your neon. The competition was fierce. 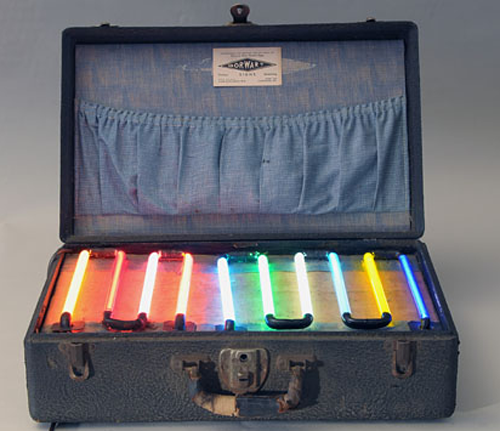 By 1940, there were over 2000 small shops in America producing neon light. A case like this would be far more impressive than any catalog, and would help “Dorwart Signs of Lancaster PA” outshine the competition. I dearly hope this wasn’t a door to door salesman’s case. Offering me a coupon for a free carpet cleaning is annoying enough; having someone at my door peddling eternal rest would be very unsettling. 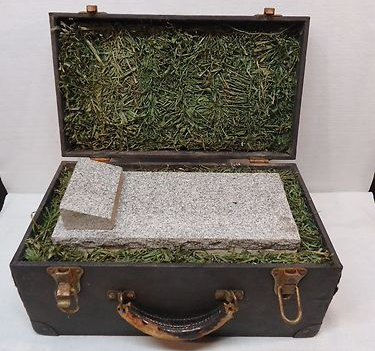 This was listed as a 1940s-50s salesman sample miniature, "Wilbert Individual Mausoleum with Southern Gray Blue Granite Cover and Headstone." 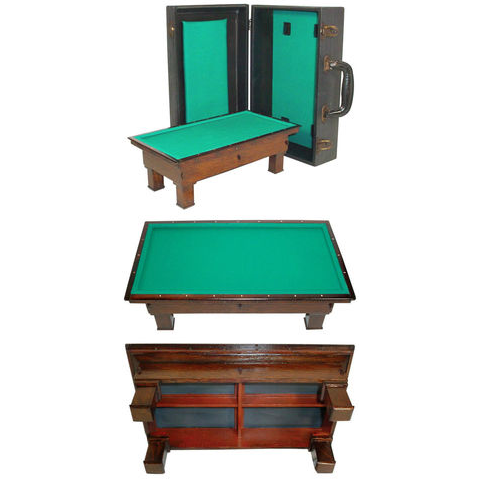 This billiard table sample, dating from the early 1900s, would likely have been shopped around to gentlemen’s clubs of both fine and ill repute. A “poolroom” used to be the place you went to place bets (pool your money) on horses. The billiards table was an afterthought, to help patrons pass the time between races. 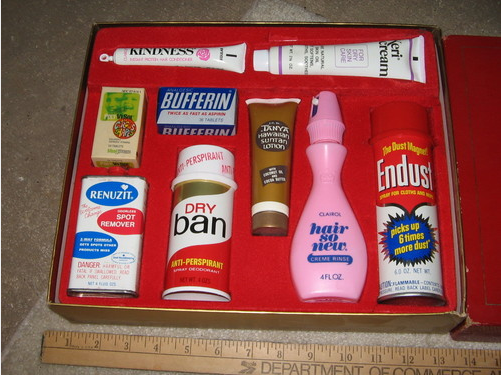 This collection of Bristol-Myers products, dated from about 1970, offers just about everything a modern woman needed to be happy, from dust spray to Bufferin. 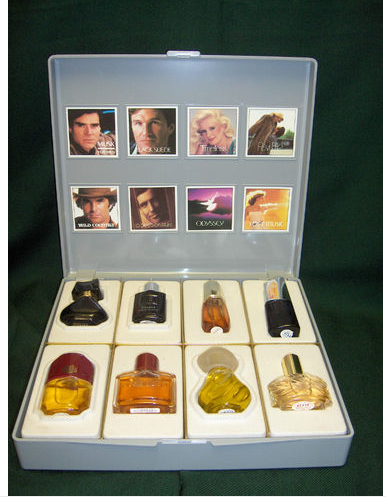 This Avon case, listed on Ebay as “from the 70s,” offers a fragrance for every mood. Do you wish to emit an entrancing musk today? Because there are options for both rugged-yet-sensitive men and elegant women who apply their blush with a slashing motion. Or perhaps you’re feeling rather “Cordovan” (a color… and possibly also a shoe). With this Avon scent sampler, the possibilities are endless. This object seemed to serve the double purposes of being both a salesman sample and a patent model. Miniature versions of a new (or improved) invention could also be shown to potential investors. 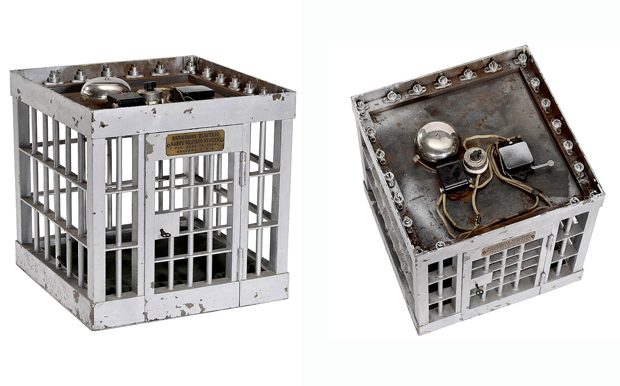 This clever little protection box was designed in 1904 to incorporate the fledgling science of electricity. Exactly how it worked is beyond my engineering comprehension (as is, in fairness, the latch on my dog’s kennel), but the gist was, if you try to cut the bars, electricity causes the alarm to go off. A pretty great advancement in security for 1904. I could find, sadly, almost no information about this Ariston Ceramics toilet. But it was too beautiful, with its natural wood and remarkably swanlike curvature, to leave out.